Snaro is one of the easiest flying target adventures you will encounter. The targets are numerous when Snaro and if you sit water in the evening they are all coming your way. All of them. Snaro requires very little gear. 6 flu flus, 6 Snaros (prefer 6 inch for Snaro), and a spinning wing decoy. Doves use keen eyes from high vantage points to spot hunters. To help even the playing field, hunters must be properly concealed. Wear camo clothing matching your surroundings. Try to blend into features of the landscape — patches of standing grain missed during harvest, tree-line edges, etc. Consider fashioning a blind from corn stalks, brush or other local materials. Camo tape or finish on your shotgun helps hide gun movements. Camo grease paint or a mask hides the shine on your face. 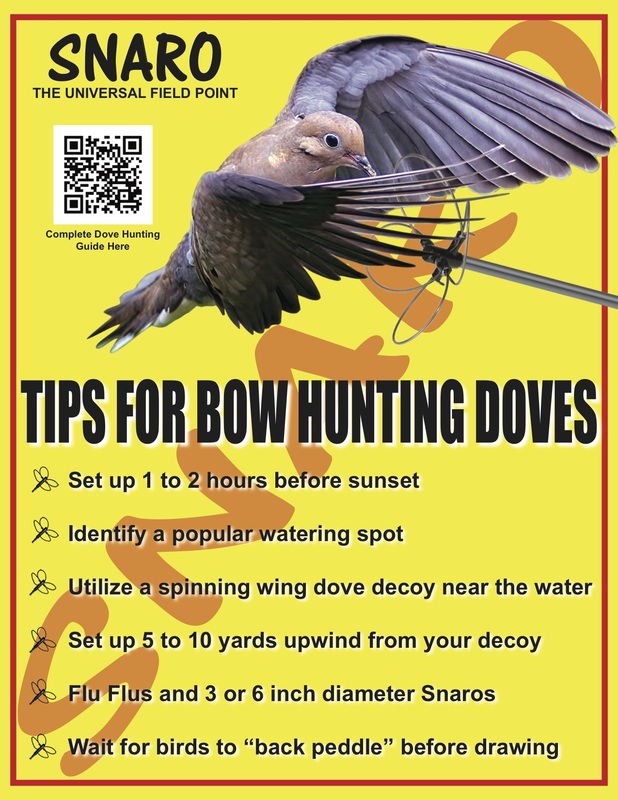 Several dove decoys placed near your stand can entice birds to fly by at close range. You can purchase decoys — shell, full-body and even robo-dove decoys — from sporting-goods businesses, or create silhouettes from cardboard. Place several decoys on open ground and several on nearby fences or dead trees. Fence decoys should be about a foot apart on the top strand of wire. Tree decoys should be placed as high as possible, back from the tips of limber branches. 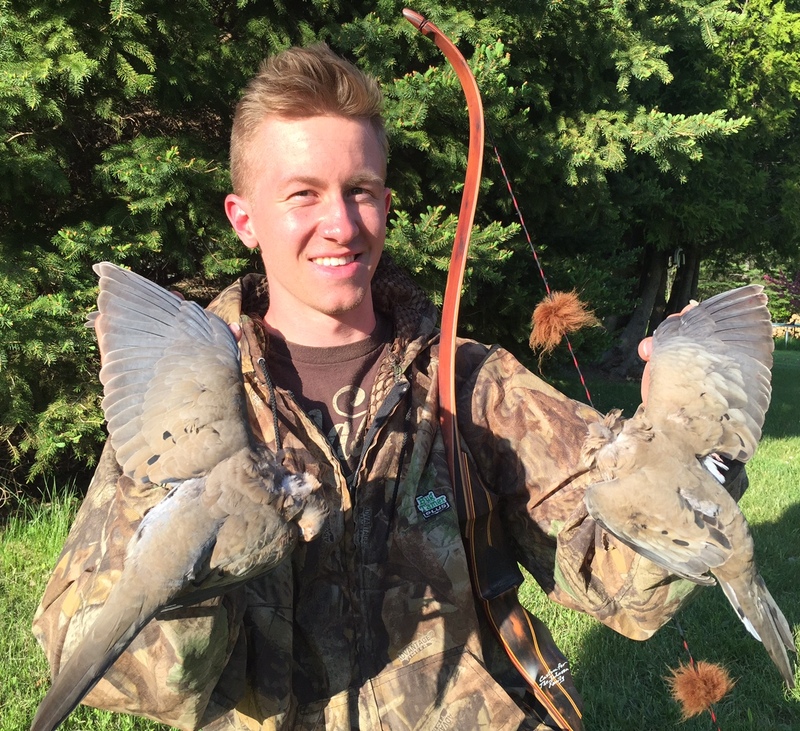 Face all decoys into the wind; doves take off and land into the wind. Understanding mourning dove habits will assist you in pinpointing game. Know first that doves are seed-eaters. They feed on sunflowers, corn, wheat, oats, millet and other grain crops, plus many weed seeds, from foxtail to croton. They prefer eating on bare ground because their legs aren’t strong enough to scratch through litter or long enough to clear many hurdles. Place several dove decoys on open ground and several on nearby fences or dead trees. 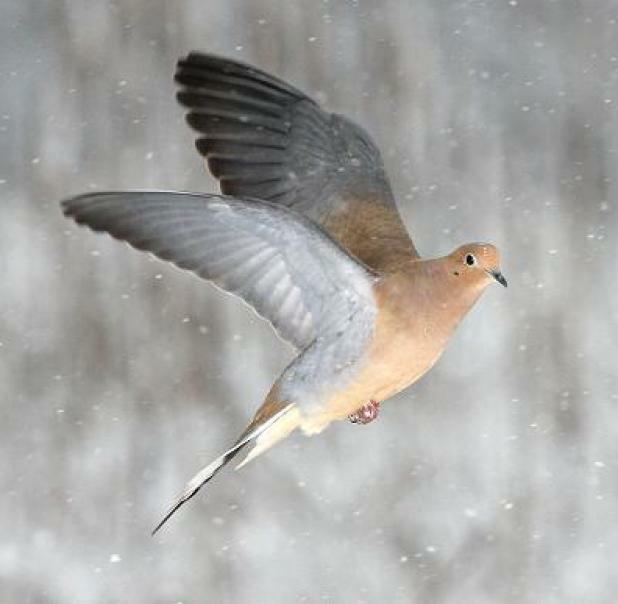 Doves usually fly from their night roost to a watering hole shortly after dawn, then quickly move to feeding areas where they stay until midday. They loaf at perching, watering or graveling sites near the feeding area for an hour or two around noon, then return to the feeding area for the remainder of the afternoon. Before going to roost, they usually go to water again.